Regulators, the pharmaceutical industry, and patient organizations expect an increased inclusion of patients’ risk preferences in medical regulatory decisions, for example, with regard to market approval. Merging of input from patients with, for example, multiple sclerosis, with expertise from health professionals in regulatory decisions has already occurred. The complex task of involving larger and more heterogeneous patient populations (e.g. with diabetes mellitus, asthma), however, remains. 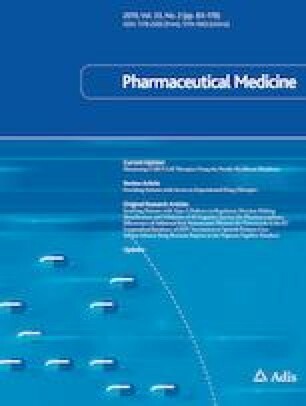 This study aimed to understand physicians’ experiences with factors influencing patients with diabetes mellitus perceived risks of their medicines and to explore how physicians, based on these experiences, perceive patients with diabetes to be suited for involvement in regulatory decisions. This study will provide knowledge that can improve the inclusion of heterogeneous patient groups in regulatory decisions. We conducted five semi-structured interviews with physicians with different types of experiences with patients’ risk perceptions (for example, being in contact with individual patients vs. being involved in developing guidelines at the population level) and one focus group interview with eight general practitioners in Sjælland, Denmark. We applied a thematic analysis to explore physicians’ experiences of the risk perceptions of patients with type 2 diabetes and their perceptions of patients’ fitness for involvement in regulatory decisions. The risk perceptions and preferences of patients with diabetes were perceived to be rather diverse. Four drivers behind this diversity were described: past experiences, personality, prognosis ability, and knowledge. The legitimacy of patient preferences was not questioned, but the diversity of risk perceptions made the respondents question the existence of a uniform ‘patient voice’ useful for regulatory decision making. The respondents acknowledged the relevance and legitimacy of the patient perspective, but it was a concern that patient risk perceptions, at present, are too diverse to be included in regulatory decisions. Whether patients make regulatory decisions as perceived by physicians needs to be confirmed by future studies. Funding for this study was provided by Innovation Fund Denmark (Department of the Ministry of Higher Education and Science) and Novo Nordisk A/S as part of a public-industrial co-funded Ph.D. project. Publication of the study results was not dependent on the approval of either funder. Mikkel Lindskov Sachs was employed as a full-time industrial Ph.D. student at the University of Copenhagen and Novo Nordisk A/S during this study. Morten Colding-Jørgensen is a consultant and shareholder of Novo Nordisk A/S. Katarina Jelic is a full-time employee and shareholder of Novo Nordisk A/S. Per Helboe is a shareholder of multiple pharmaceutical companies, including Novo Nordisk A/S. Sven Frokjaer, Sofia Kälvemark Sporrong, and Susanne Kaae have no conflicts of interest that are directly relevant to the content of this article. The study and the related data management were approved by the Data Management Unit of the Faculty of Health and Medicines, University of Copenhagen. The Danish Data Protection Agency approved the study (Reference: SUND-2016-47). Participants were informed about the study and its aim and signed informed consent forms at the start of each interview. All participants were introduced to the purpose of the study. No financial incentives were offered or transacted. The confidentiality and anonymity of the data were ensured according to national standards. EUPATI. Patient education! The A to Z of medicines development. 2018. https://www.eupati.eu/. Accessed 9 Mar 2018.